Yet. My last several firearm related purchases have been ar related, and need to direct some dough towards something different. 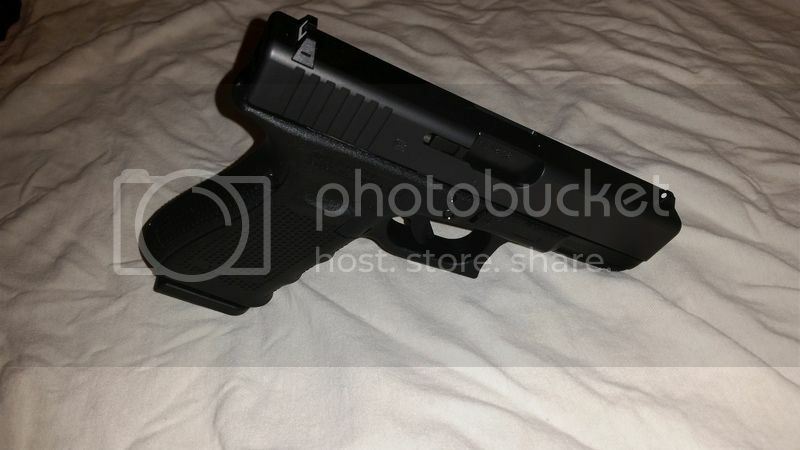 Not too familiar with all the different models, so want some opinions on what would make a good first glock. I want something in 9mm and full size. I will be dropping by a couple local gun stores tomorrow to see what they have, so if I like the feel of one I will most likely be walking out the door with one. Thanks in advance. 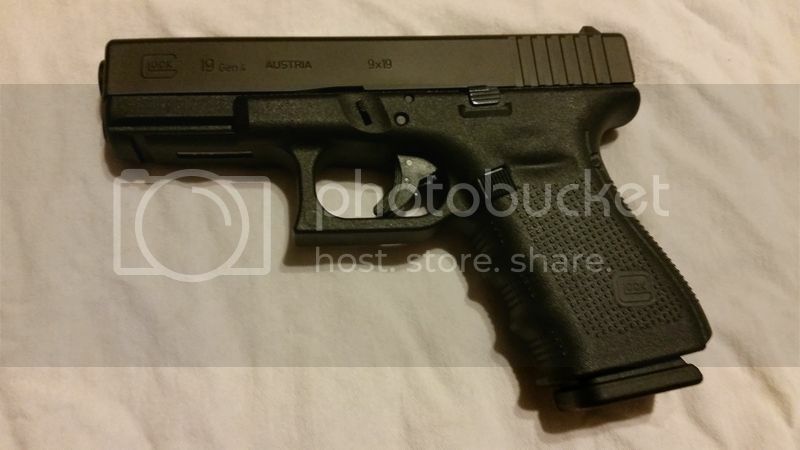 Either the G17 (full size) or G19 (mid size)... make sure you come back and post a pic when you buy... I have a Gen 2 G19 and it's a great CC pistol. My first Glock was a Gen2 G19 with night sights. Probably one of my favorite pistols to-date, and if I found another for what I paid for the first, I'd scoop it in an instant. Eventually went to a G17 and love it as well, with it now a backup/loaner to my P226. Either way, you can't go wrong. Full-size fits me better with the exception of the Gen2 w/o finger grooves. YMMV. I will be checking some prices online to make sure the LGS has a decent price, but in the likely event that I get something pics will be the second thing I do after I shoot it. I'm mainly looking for hd/range fun, it most likely won't see any cc time. The Glock 19 is the perfect handgun. The G19 is the all around top seller. Depends how big your hand is, the 19 was too small. I went with the 17. G17/19/34 if I had choice gen4. I went through a couple of Glocks, Sigs, a PPQ, and several M&Ps before realizing that the Gen3 19 is the best that I will probably ever have. There is absolutely nothing that my 19s can't do. 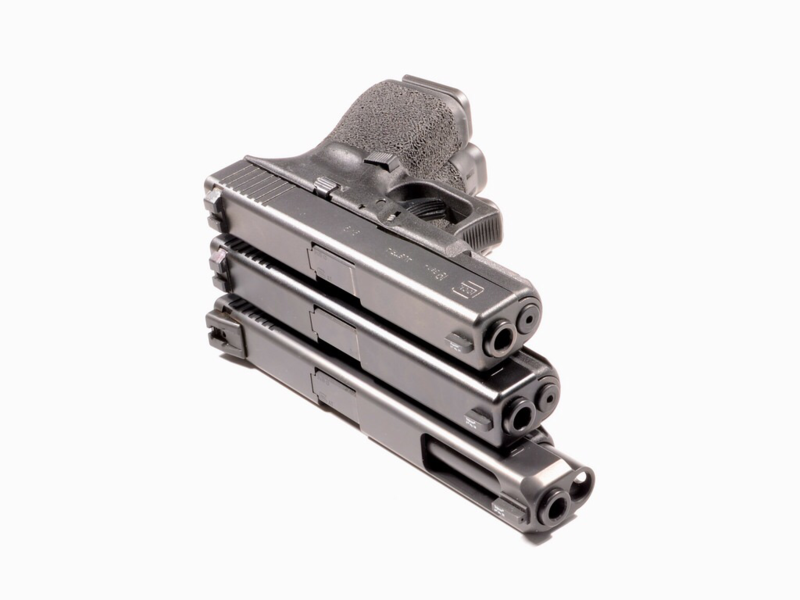 If it's for the range, HD, and just for fun get the 34. The 34 is also really good for competition shooting. The perfect combination is the 19 and 34, but start where you want. Just stay away from the .40 and .357 models, they're good to go but not heavy enough to help with the recoil. As many others have said, G19. Unless it's too small for your hands, then G17. Picked up my first a week ago. Went in for a G19, left with a G17. Gen 4 g17 or g34 would be my pick. If you ever want to compete these are the best 2 models to boot. I like the 17.4 myself but the 19 is very popular and for good reason. The 19 fits a lot of pistol into a very reasonable size. Glock 19 Gen 3 or 4. I have had both and of all my guns, it is the one I always grab. G19 or G17. Gen4 of course. I got a Glock 17 gen 4 and can't say enough nice things about it. Judging by what the OP said I really think the 34 fits the description. Are you going to keep us in suspense for 3 days? I love my 19. Even with simple holsters like the Raven VGII I carry it all manner of clothes without issue and alongside the concealability it is a fine shooting gun. For a first Glock I'd go with a Glock 19 (I did) then the Glock 34. Got to go gen 4 also. EDIT: Looks like the OP did go with the Glock 19. Way to go, brother! I finally pulled the trigger, so to speak. Saturday I bought my first glock, 19 gen4, along with an ar lower. Can't have too many of those laying around. Background check was delayed 3 days, and today was the first day I got off early enough to pick them up. I personally prefer the 17.4 to all other Glocks. Even so, if someone asks me for a recommendation I usually suggest a 19.4. It's an excellent pistol, especially for an all around option.